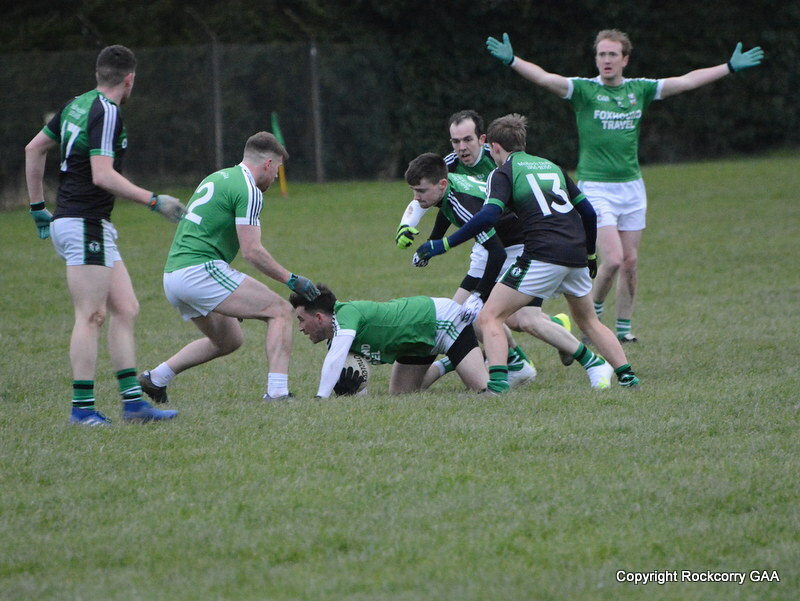 Unfortunately, due to a number of players carrying injuries or away last Bank Holiday weekend we were not able to field a team for our last match against Clontibret in the Drumlin Credit Union league campaign. 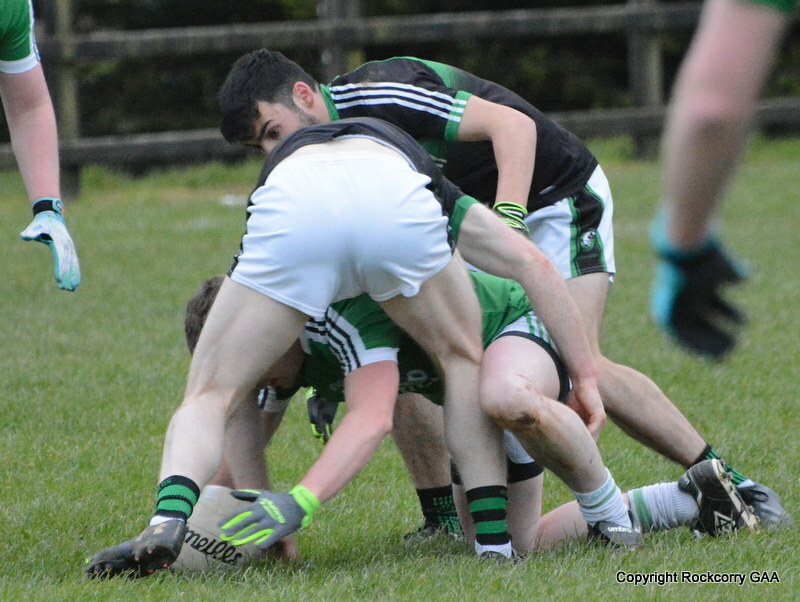 It was a disappointing way to end what has been an exciting season and there have been many highs and lows through-out a memorable year playing in the senior ranks. It was certainly a tough and demanding experience and the record books will show that we shipped some heavy defeats but having said that I was impressed with the team performances and I thought the commitment and workrate of the players and the management (Jim & Cormac) was tremendous all season and they kept going right to the end. They approached the challenge with admirable courage and adopted a good attitude and I have to give credit to them for their efforts. 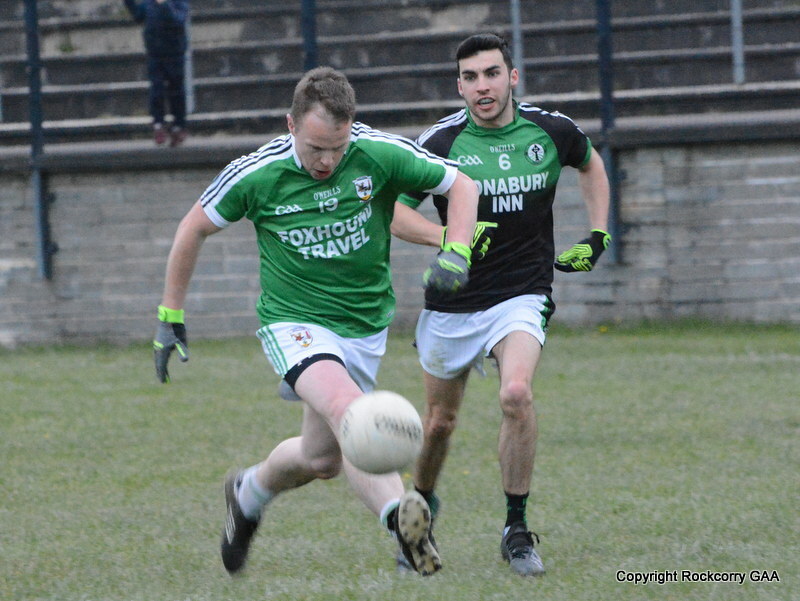 Our attention will now obviously switch back to the Intermediate ranks for next year where we shall be setting our sights on regaining a place back in the top flight of Monaghan GAA. It will not be an easy task but as they say nothing worth doing is ever easy and I know that the players remain committed and over the closed season they will regroup, rebuild and respond in a positive manner to confront the challenges that await us next year. Following on from the under 10 tournament a couple of weeks ago the club switched their attention to the under 12 players and held a tournament, on Saturday 26th October, in memory of my father, Bosco Carroll. Our neighbours Latton, who were attempting to win the trophy for the third year in a row, were joined by our own bunch of wee warriors to battle it out for the Memorial Cup. The recent weather conditions have been horrible and it was certainly not a pleasant day for the boys and girls with slippery underfoot conditions, strong breeze and driving rain but it failed to undermine the players as they gave the supporters an entertaining match. We were slow to start as Latton dominated the early exchanges and quickly established a healthy lead and they enjoyed a commanding 0-3 to 2-14 advantage at the interval. I have to give credit to our boys and girls who battled gamely during the second half and displayed great character to respond to the early onslaught and never gave up trying through-out the match and picked off some lovely scores. However, as we pressed forward Latton, who were a lot stronger across the field, were able to punish us on the counter-attack and ultimately they secured a comfortable victory and retained the trophy for the third year in a row. Afterwards, Ann Carroll presented the Bosco Carroll Memorial Cup to Eoin Duffy, captain of the Latton under 12 team and congratulations to them on a wonderful performance. On behalf of my family, I would like to take this opportunity to thank everyone who helped out in every way to organise the event. Thanks to the Latton clubs for travelling and competing in a very sporting and entertaining match and for making it such a wonderful and enjoyable occasion. To all the mentors involved with the teams for taking the time to nurture and coach all the kids. To our youth officer, Pascal Smyth, who once again left no stone unturned in his preparation and for making sure the memorial tournament ran smoothly. To the ladies behind the scene Tina Rooney, Martina McKeown and Ann Lynch who are always there to help out with providing refreshments at various activities and they certainly did not let the side down once again. Many thanks to Nicky Calvert for carrying out the refereeing duties on the day and for doing such a great job and finally thanks to all the parents and supporters who travelled on the day. Your assistance and encouragement makes a big difference for the kids on the pitch and we look forward to your continued support in the years ahead. With the playing season now complete our attention will now focus on the administration affairs of the club. The date for our annual general meeting has been fixed for Thursday 28th November. The annual general meeting is the most important meeting of the year and ALL club members are invited to attend in order to reflect on the last twelve months and to look ahead for the upcoming year. It is also a time to elect a new management committee and to communicate with other members about how the club is functioning. Nomination forms will be circulated to all club members over the coming weeks and should be returned to club secretary Martina McKeown before the required date. All our teams, from nursery level up to senior level have provided us with wonderful memories throughout 2013. This year’s annual yearbook entitled ‘Our Journey’ will be officially launched at our Annual General Meeting on Thursday 28th November. It is a pictorial account, an album of memories, which follows the ups and downs, laughter and tears, victories and defeats of the men, boys and girls that wore the Green & White jersey over the past twelve months. It also contains a selection of photographs taken from various events held over the year and I hope the selection of images that I have captured will leave a lasting impression. If there is an image or photograph that you would like included in the yearbook then please get in touch at pro.rockcorry.monaghan@gaa.ie and I would be delighted to talk to you. 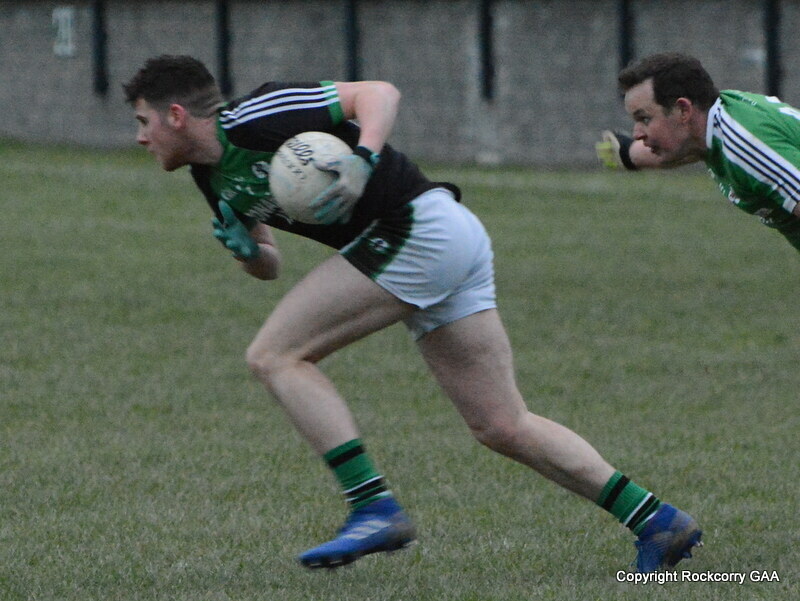 I am delighted to announce that we have another new recruit for the Rockcorry football team and on behalf of the club I would like to extend our congratulations and best wishes to Susan & John Elliott on the recent birth of their healthy baby boy. The Local community alert committee are in the process of organising a training course that will cover Defibrillation (AED) plus Cardio-Pulmonary Resuscitation (CPR). This course is well suited to those who would like to learn the basics in AED and CPR in a one-day program (normally between 7pm to 10pm) and you will receive a recognised certificate that is valid for two years, issued upon successful completion. No matter who and where you are, people of all ages can suffer from sudden cardiac arrest. Regardless of the cause, from choking to heart attack, the situation is life threatening and requires swift, effective response. Knowing what to do can save a life and this course can give you the skills you need. The fee is €60 and depending on numbers this may reduce. They hope to hold it over the next couple of weeks on a date that is suitable to most people so if anybody is interested please get in touch with myself, Michael Carroll, or contact Gerry Coyle directly. I would strongly advise that people attend this course because you never know when your actions will be required in an emergency and your action may determine whether a serious injury or an ill person survives. Coiste Chontae Mhuineacháin are organising a Gala Banquet in the Hillgrove Hotel, Monaghan on Friday 15th November 2013 to celebrate our teams wonderful success. Team Panels will be presented with their Championship and League medals on the night. Sunday 21st July last was one of the greatest and most memorable days in Monaghan GAA history. Monaghan Senior Footballers and the Minor Footballers success was a magnificent achievement along with the appearance of the Monaghan 1988 winning team. It was a fantastic day to see three Monaghan teams holding centre stage in Saint Tiarnachs Park Clones, something that made every Monaghan Gael very proud. They are requesting that each club in Monaghan take a table for this event. Tables will comprise of ten or twelve people and the cost is €75 per person. It is a night for club officers and members to attend to honour the teams that have given us great summer memories. This will be a night of celebration not to be missed so please get in touch if you want tickets. 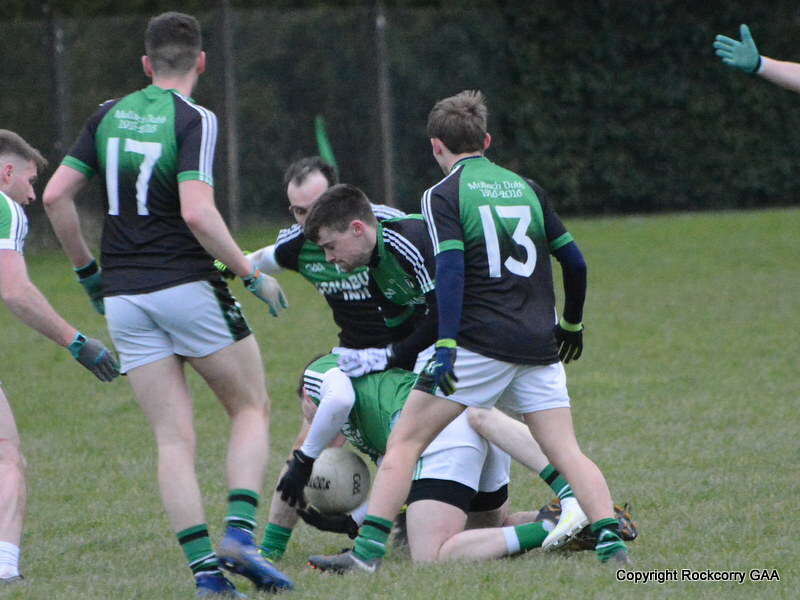 A schedule of coaching courses for the Autumn / Winter period has been published and is available on www.rockcorrygaa.ie If you are interested in attending any off these courses please contact our youth officer Pascal Smyth. The numbers drawn on Monday 28th October were 9, 12, 13 and 26. There was no jackpot winner of €5,400. The following won €15 each :- Seamus Tate, Rockcorry, Jimmy McGeough, Rockcorry, Aindi, Stephie & Darragh Dempsey, Rockcorry, Gerald McDermott, Chesterfield, James Fox, Rockcorry, Dettie McBride, Swans Cross, Christina O’Brien, Rockcorry, Pat McCabe, Rockcorry. Next week the jackpot will be €5,500 and the draw will take place in the Maple Bar. Thank you for supporting our Top 4 lotto draw. On behalf of everyone at the Rockcorry GAA club I would like to extend our deepest and heartfelt condolences to Ashley Morris and members of Morris family on the recent passing of Gertie Morris. May her gentle soul rest in peace.